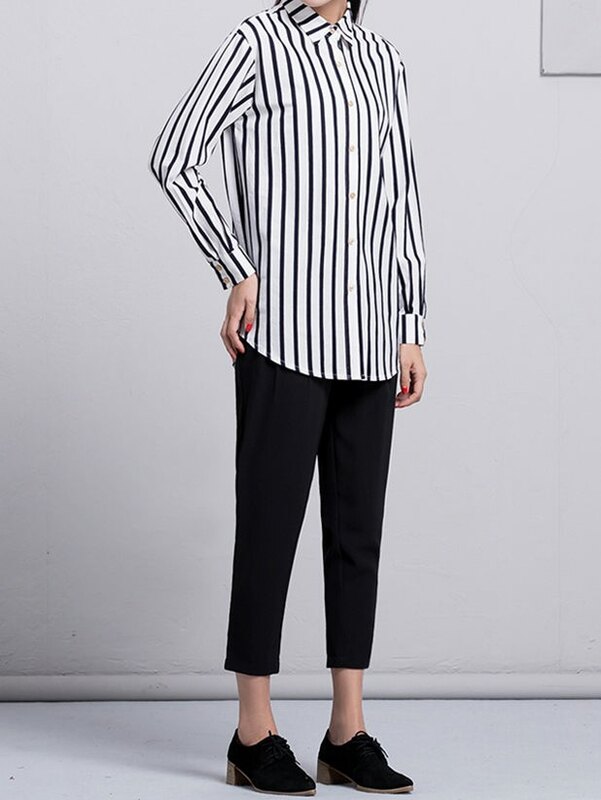 Customize lapel striped shirts for women . Lapel collar design show neckline perfectly and the slim fit shows chest curve ideally. Typically this style of shirt fabric choice of thin polyester or gauze . But we can choose different fabrics produced according to customer requirements, but also printing any colors / pattern . Cut use straight knife machine, Sewing interface use two fold approach, ensuring beautiful edges. 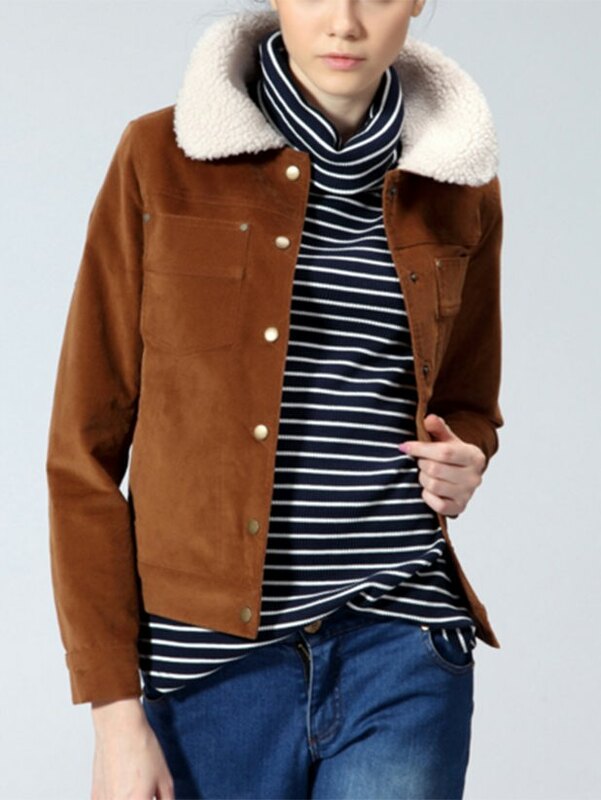 Panda tailor accept minimum 50-100 piece clothing order.